International Treaties have ruled that no country may claim parts of the Solar System -- but claims by individual citizens WERE NEVER EXCLUDED!!! There has NEVER been a better time to own your personal piece of off-planet property. Email us NOW for the latest prices. -- All major Earth currencies accepted. Own a sulfur-dioxide-venting Volcano on Io, the satellite with the most dangerous environment in the entire Solar System. 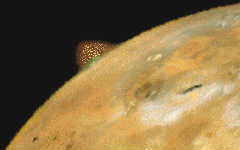 Powered by gravitational tides created in the moonlet's crust, the Volcanoes of Io have been voted one of the most spectacular phenomena in the Solar System. Super-Massive Black Holes were long thought to be scarce and mysterious objects, but new cosmological theories have highlighted the availability of these exotic beasts. 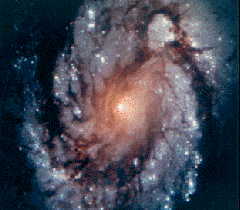 In fact, every major galaxy has a Super-Massive Black Hole at its very heart. Now, you can have one too! Super-Massive Black Holes are the ultimate fashion accessory. Buy NOW while stocks last!. Time-Share Olympus Mons, our Solar System's mightiest volcano. Now, you can own one of the system's greatest wonders for one whole week EVERY YEAR! 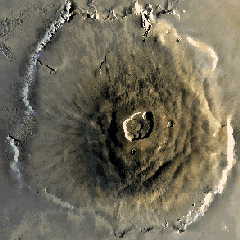 Conveniently located on Mars, Earth's near neighbour, this magnificent natural phenomenon has an eternal appeal. This is the Offer Of A Lifetime for 52 lucky people. Reserve your week early to avoid disappointment. Voted the most beautiful objects in the Solar System, Saturn's Rings are arranged at an angle chosen to maximize viewing opportunities from Earth and its orbiting telescopes. We can now offer individual rings for sale. Pick a colour, pick a location, but pick quick! Some of Saturn's Rings are much thinner than the average and we can offer a special Buy One Get One Free deal on these rings. 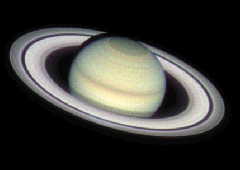 Many of Saturn's Rings are organized by a pair of Shepherd Moons Buy One Moon & Get The Other Free!!! 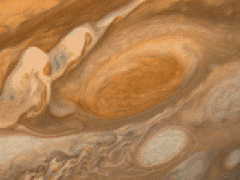 The Great Red Spot on Jupiter is a 300-year-old storn in this massive planet's atmosphere. The storm is more than big enough to swallow Planet Earth WHOLE! And it shows no signs of abating. Now, thanks to developments in dynamic cartography, YOU can own an accurately charted one-acre portion of this example of Solar System ultra-violence. Be quick - get a good bit! The Great Blue Spot on Neptune is a much more recent discovery than the Great Red Spot on Jupiter, and it commands a price premium. 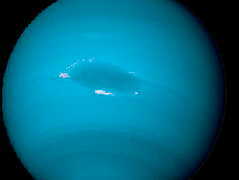 But for a LIMITED TIME, all customers for the above Great Red Spot offer can enjoy 10% OFF all orders for one-acre plots of Neptune's Great Blue Spot. Hurry, Hurry, Hurry! 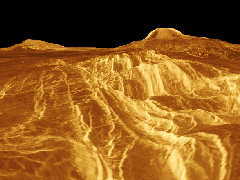 Wreathed in light-impenetrable clouds, Venus offers privacy to the discerning investor. Plots bought on this planet are safe from telescopic observation from the Earth. Only high-intensity radar-mapping can reveal your secrets. 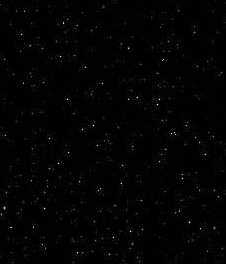 Email an order now for YOUR plot on what is officially acknowledged to be the Solar System's Most Secretive Planet.